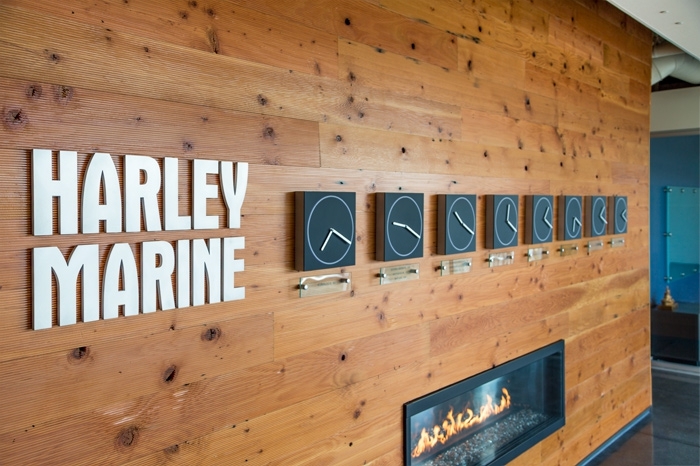 Harley Marine Services’ new corporate headquarters balances industrial function with an operationally efficient environment. 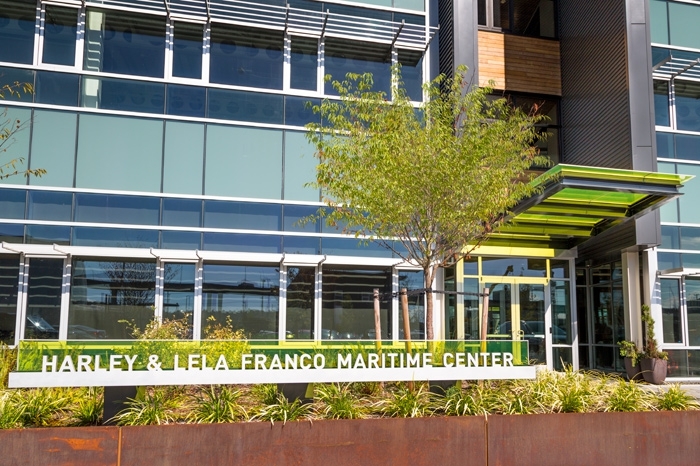 The project’s waterfront location and tremendous views inspire a design concept that merges indoor and outdoor spaces. 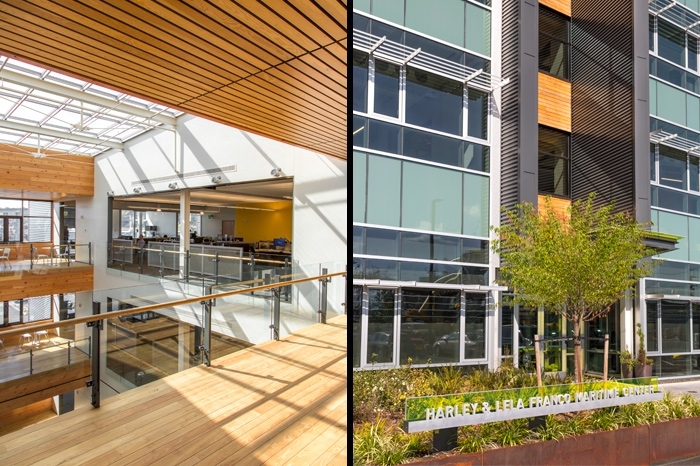 A light-filled atrium serves as the building’s entry and orients visitors with simplicity and clarity. 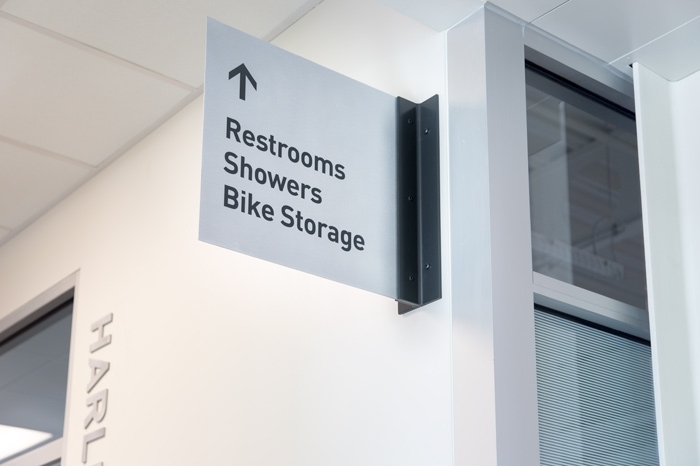 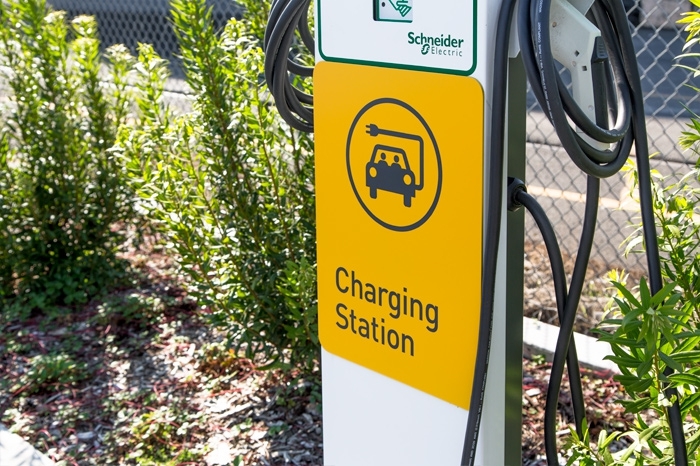 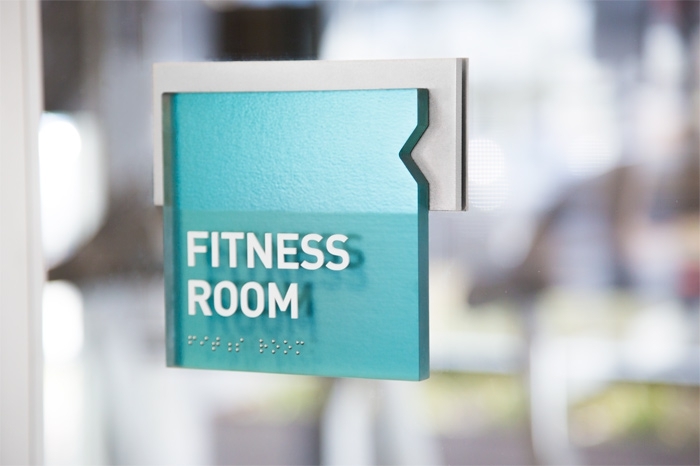 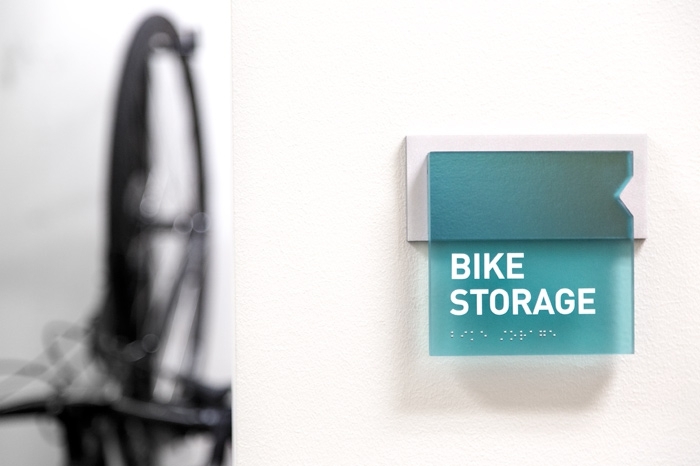 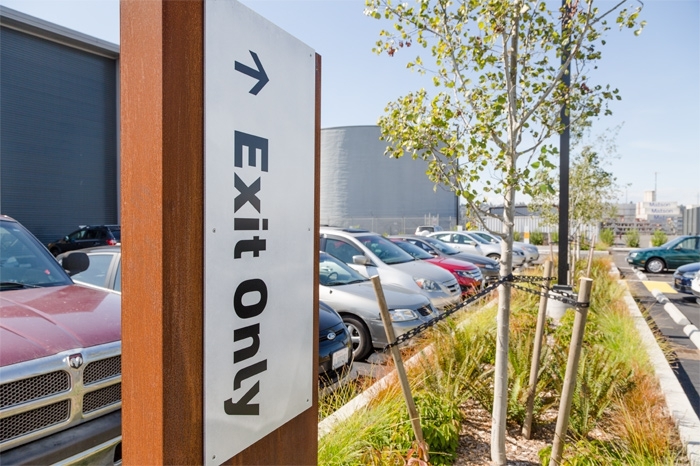 Flexibility is an important component of the design—inside solutions adapt to future configurations, while outside zones for pedestrians and vehicles are delineated simply with color and graphics. 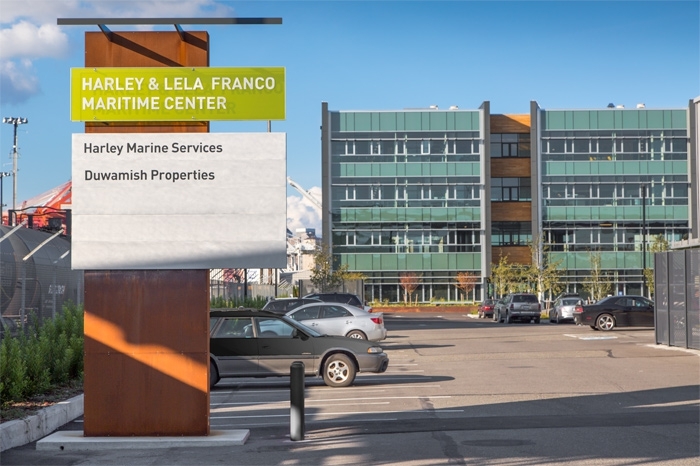 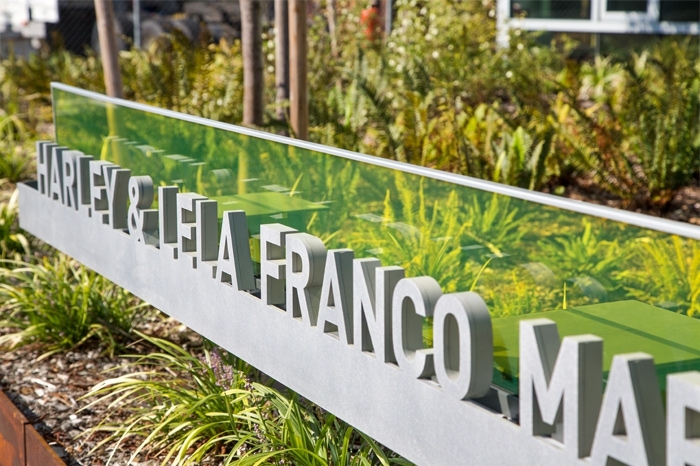 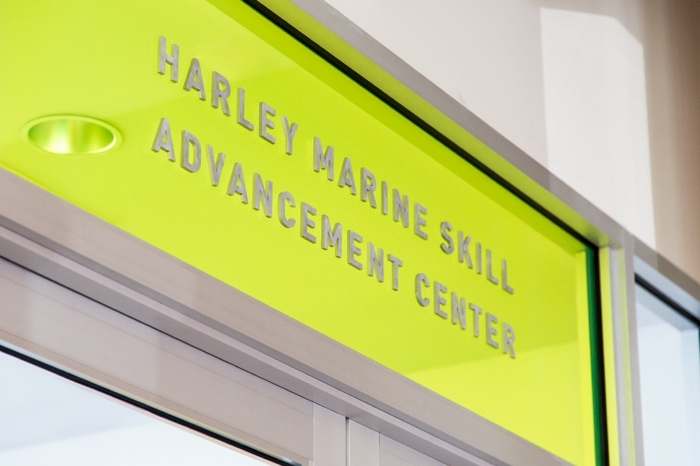 Environmental graphics highlight the Maritime Center inside and out. 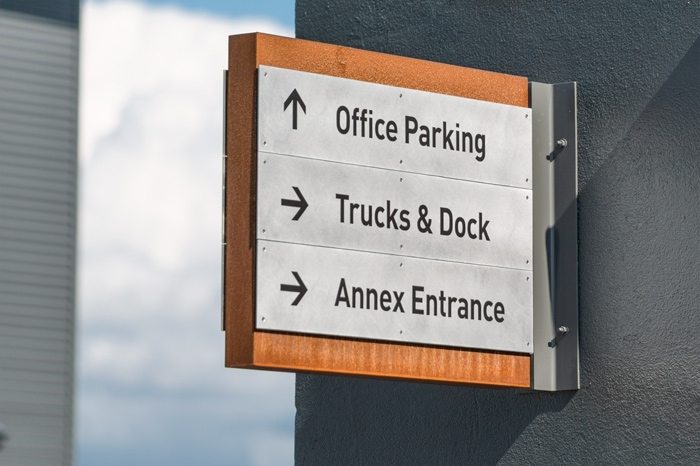 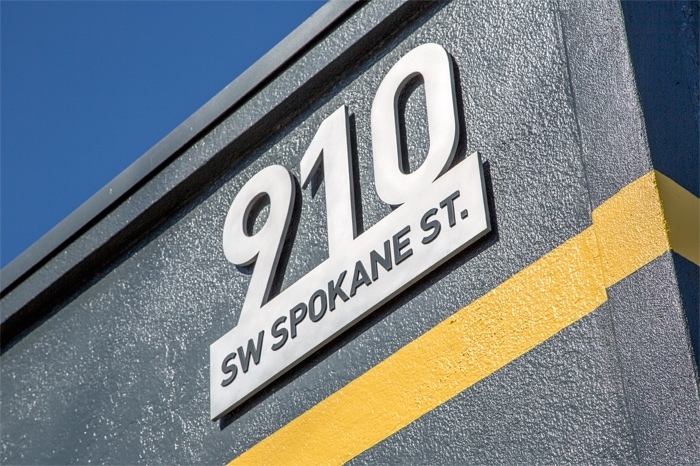 On approach to the site, corten steel monuments and building entrance signage extend the Mithun building design and materials palette. 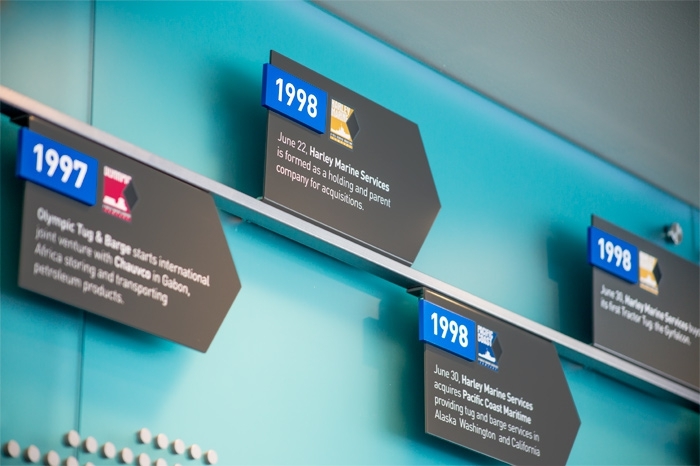 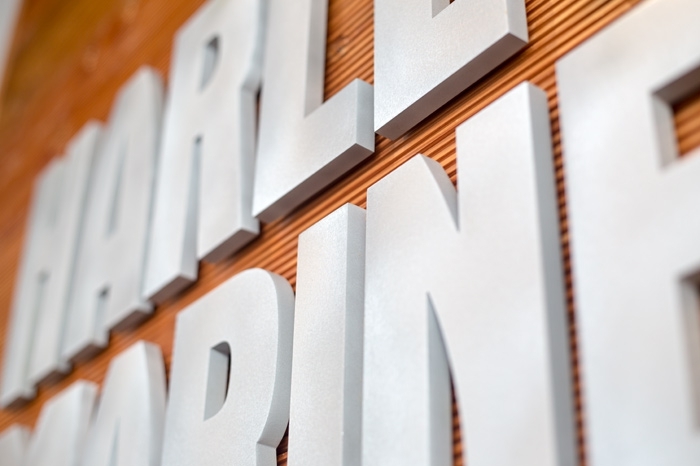 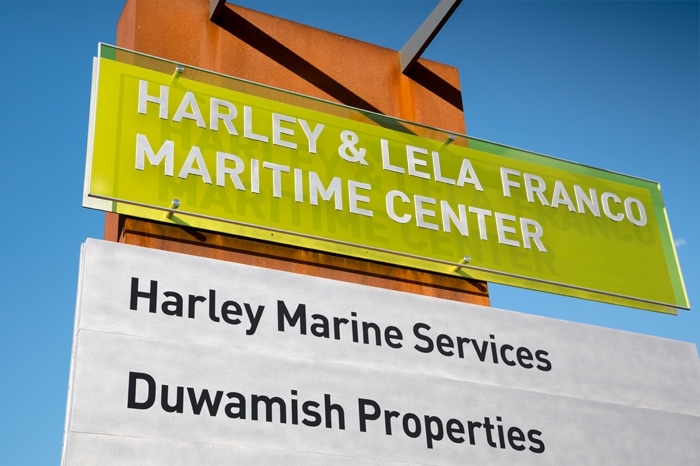 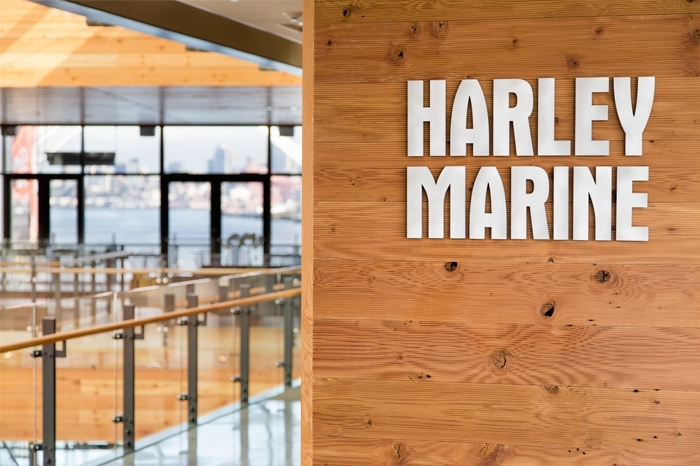 Along the outside west wall of the shop, Harley Marine Services companies are displayed proudly on glass and metal banners. 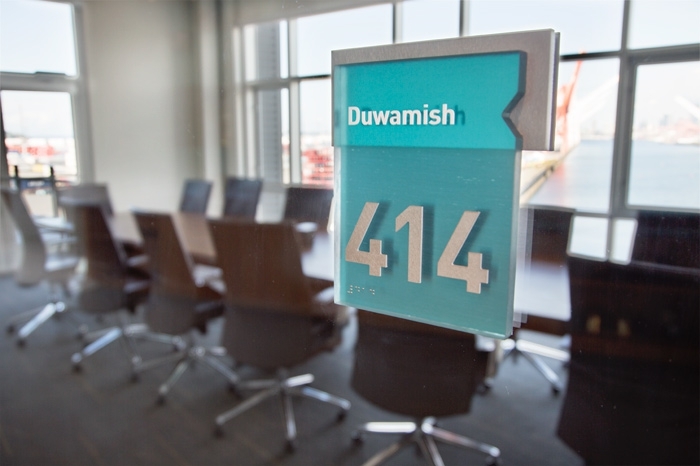 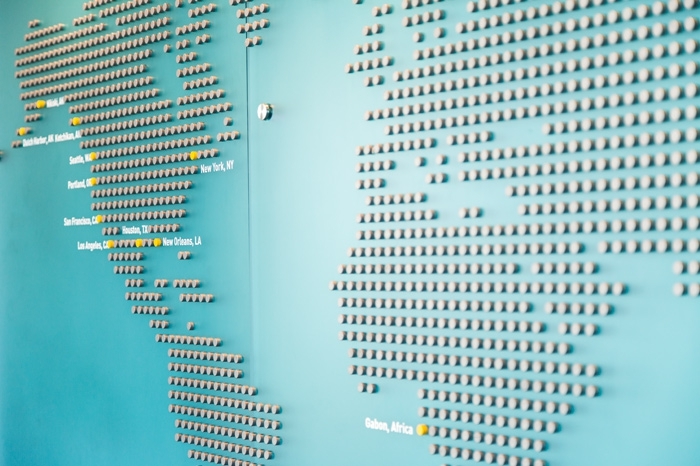 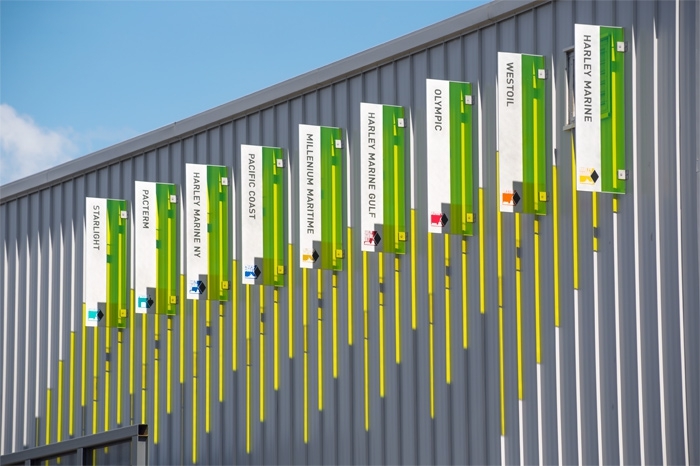 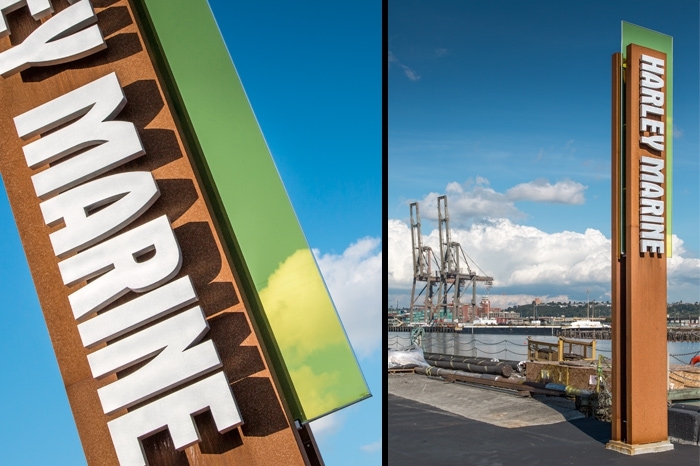 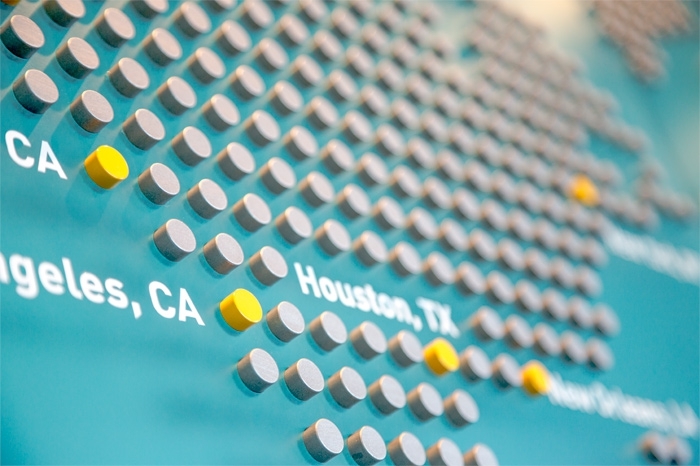 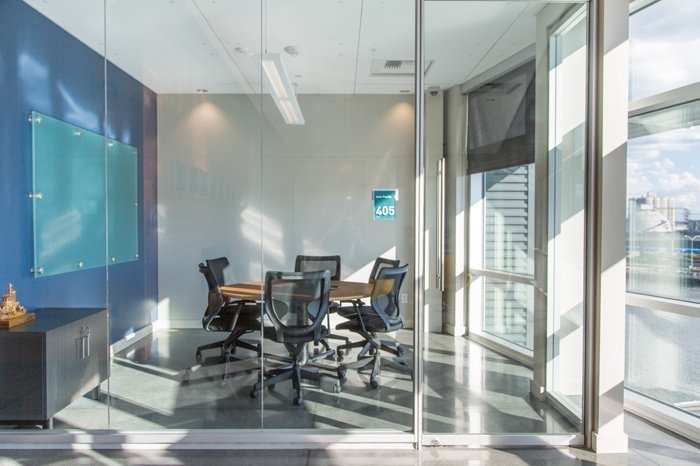 Inside, the company history and locations are featured on a world map installation across from the main conference room overlooking the Duwamish. 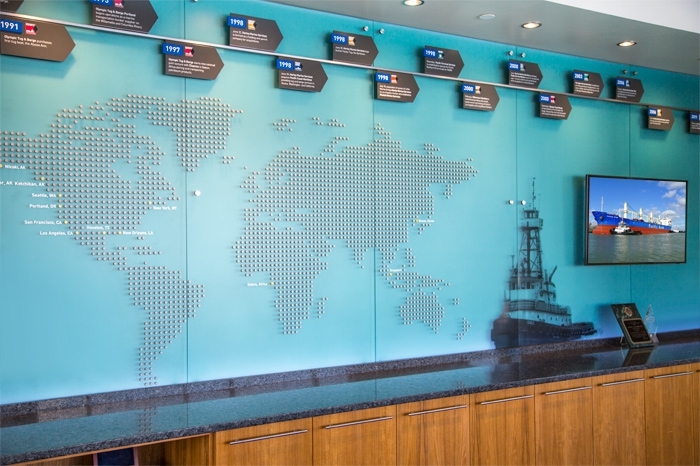 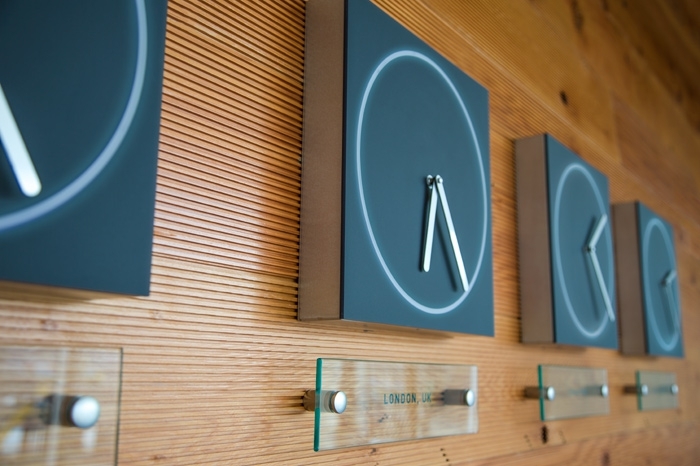 In the lobby, a time zone display featuring glowing clocks and company logo demonstrate operations are 24/7 in the maritime business. 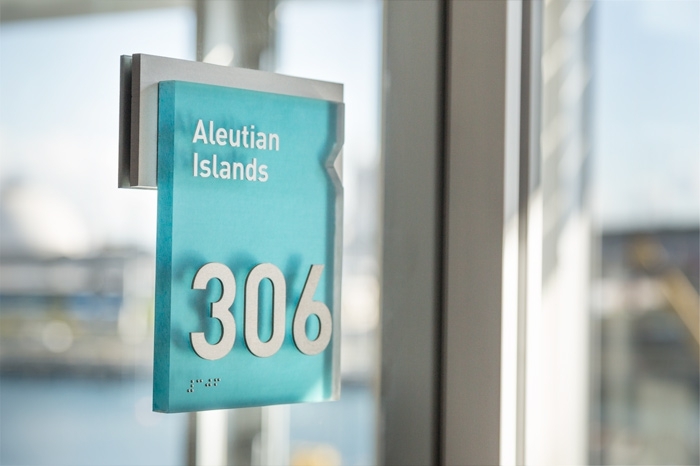 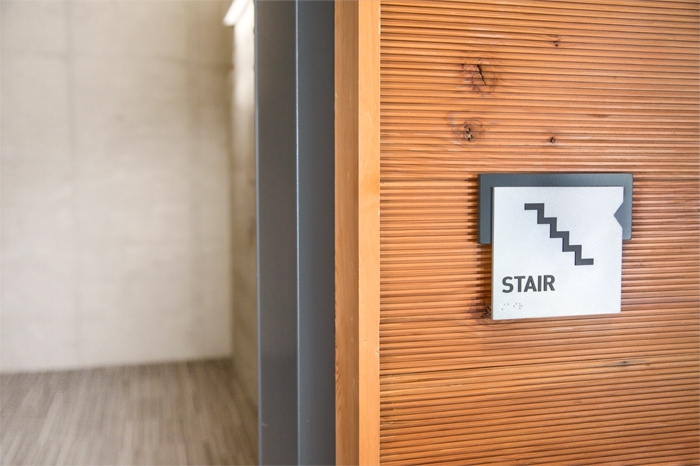 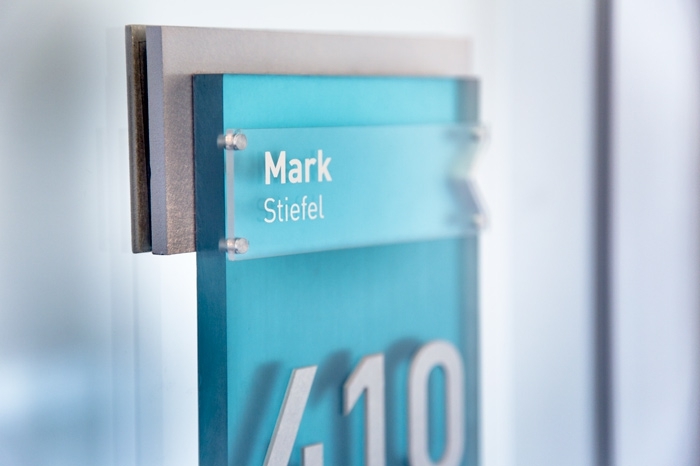 Throughout the office interior, conference rooms and office signage draw inspiration from the HMS identity and nautical themes.